OMG why no PING ?!! i would love to see a video on your most disappointing clubs of the year. M2!did not make the list wow Rick! hey Rick, any chance you could do your top putters? Rick those clubs…. Titleist and Cobra….they are really 2017 models, they aint in shops yet, so kinda unfair to bring them in. 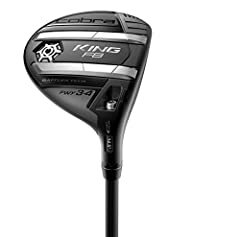 I know it wasn’t in your top three but your review of the Cobra King F6 Baffler 4-5 wood was life changing for me in the world of fairway woods. Got it in stock shaft extra stiff. The rails are almost unfair with turf interaction and bad lies. Thanks Rick! Huge fan. Keep up the great work Rick! Looking forward to 2017! I just picked up the Ping G 3 wood. I was testing out the Callaway GBB and M2/M1. The M1/M2 I wasnt making good contact and wasnt getting very good shots with but the Callaway GBB and Ping G I was making 220/230s but ultimately went with the stiff Ping G. Cant wait to try it out with year. What about the best rescue clubs…..
Are you going to do Top 3 Hybrids? Morning Rick, how about one of the most important things that most golfers don’t really consider, the golf ball review, could you do a video with rob to see what ball is better for different swing speeds, not necessarily distance but overall performance including spin, feel, etc. Just a thought for 2017 happy new year. Most enjoyable series Rick your reviews has certainly made my job easier in recommending equipment for customers as well as myself. Have a good New Year and I look forward to seeing more in 2017. 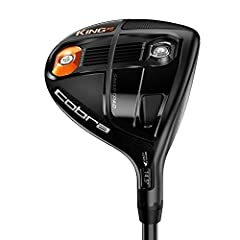 Hi Rick is the cobra f7 not a 2017 club ? as the release date (U.K.) is Jan 2017 ? Are there not going to be a putter review made ? most important club in the bag ! No Ping G, no M2… interesting! I am definitely interested in the Cobra. Rick. I really wish you would go more in depth with shaft combos and heads. Other than that, your content is spot on. Rick, I’m a 15 year old golfer looking for a good, FORGIVING hybrid. I’ve been thinking king F7. Any others I should consider? Please help. Thanks.